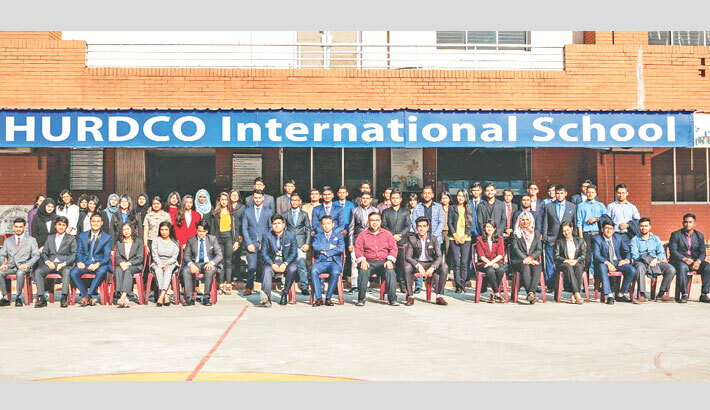 A Model United Nations session was organised recently at Hardco International School with a vow to inspire youths to prepare for leadership position across the globe. Over two hundred students from 17 schools participated in the session at the school campus in Basundhara residential area in the capital. Nitol Niloy Group Advisor Kazi Rahmat-e-Mowla was the chief guest while Brigadier General Professor M Kamrul Hasan was special guest on the occasion. Participating schools were: Hurdco int. school, Viqarunnisa noon school, SEMS, Milestone, St. Joseph, Greenherald, Playpen, Mastermind, DPS, Sunbeams, Sir John Wilson, CODA and Notre Dame College. Meanwhile, the Hurdco International School hosted an annual cultural programme paying rich tributes to the martyrs of the language movement. Hurdco Chairman Mohammed Solaiman and Managing Director Mofizur Rahman and Vice Principal Jahanagir Alam were also present on the occasion while school’s principle Jinnat Ali made address of welcome. Bangladesh Television former General Manager Ali Imam urged the young learner to hold the dignity of country’s liberation movement in personal life. “There is no alternative of patriotism to gain success in life. When we go through the life stories of successful ones, we found that patriotism led them to success,” Ali Imam added. Elaborating the abbreviation of HARDCO as Human Resource Development Company, school principal Jinnat Ali said the institution is working with an aim to develop a knowledge-based society.